Death Crosses, the Hindenburg Omen, the Black Swan of all Black Swans, the AIDS Doji, the Devil’s Ladder, the Europocalypse, the plagues of pestilence and locusts, the Tony Robbins Alert, the Hitler Harami formation, etc. Here a Swan, there a Swan, everywhere a Black Swan. Except 18 months since the bottom of the market and 13 months since the NBER-recognized economic trough, none of these "Prophecies have been fulfilled". Sleeping Beauty hasn’t pricked her finger on the spindle and that cabin in Upstate New York I stocked with guns and SpaghettiO’s lies empty still. The trouble with the Recency Effect is that everyone all of a sudden thought they were Nassim Taleb, orinthological experts on the spotting of Black Swans. Every blip on the screen or blurb in the newspaper was fresh evidence of the next hundred years’ storm. Forget being fooled by randomness, people have become obsessed with randomness. But as we’ve learned, not every aberration is a Black Swan in the making. 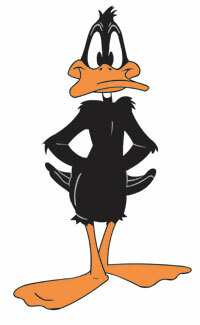 Sometimes, it’s just an ordinary Black Duck. A negative event or possibility that is processed and dealt with, that doesn’t necessarily lead to contagion, panic and meltdown. This is not to say that warning signs of future crises should be dismissed out of hand. In fact, my argument is the opposite; the more we learn not to get hysterical over every Black Duck, the better the chances are that when the real things comes along, we will be cogent enough in our reaction to them. Iranian nukes and the Straight of Hormuz, Al-Quaeda’s next terrorism attempts, the Pension Fund Time Bomb, the Chinese Real Estate Bubble, the Treasury Bond Bubble, the disappearance of non-program trading volume in the stock market, hyper-inflation, hyper-deflation, the commercial real estate shoe-to-drop, the Municipal Bond Minefield, etc. All ugly problems, but all Black Swans? Or just Black Ducks that will be unpleasant to deal with but dealt with regardless? IS DUBAI ANOTHER BLACK SWAN? Vern Hayden, president of Hayden Financial Group LLC, and Mark Dow, a portfolio manager at Pharo Management LLC, talk with Bloomberg’s Jon Erlichman about Dubai’s credit crisis and the possible impact on investor strategy.